A curated directory of themes, plugins & deals for your next WordPress project. 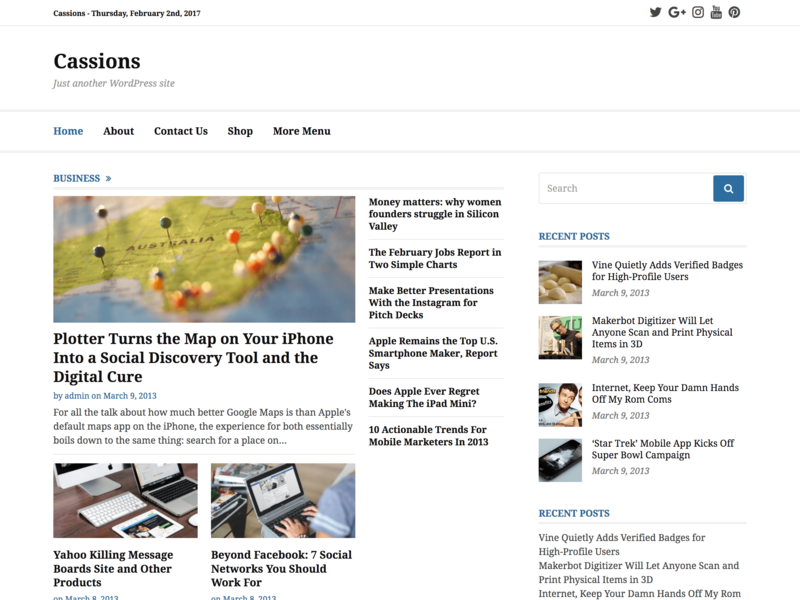 Cassions is a clean, simple responsive magazine theme for WordPress, packed with a lot of features like: featured posts, sticky menu, custom widgets and many others. © 2017 WPStash — Thanks to Startup Stash for inspiration, stress relief by the these fidget spinners.